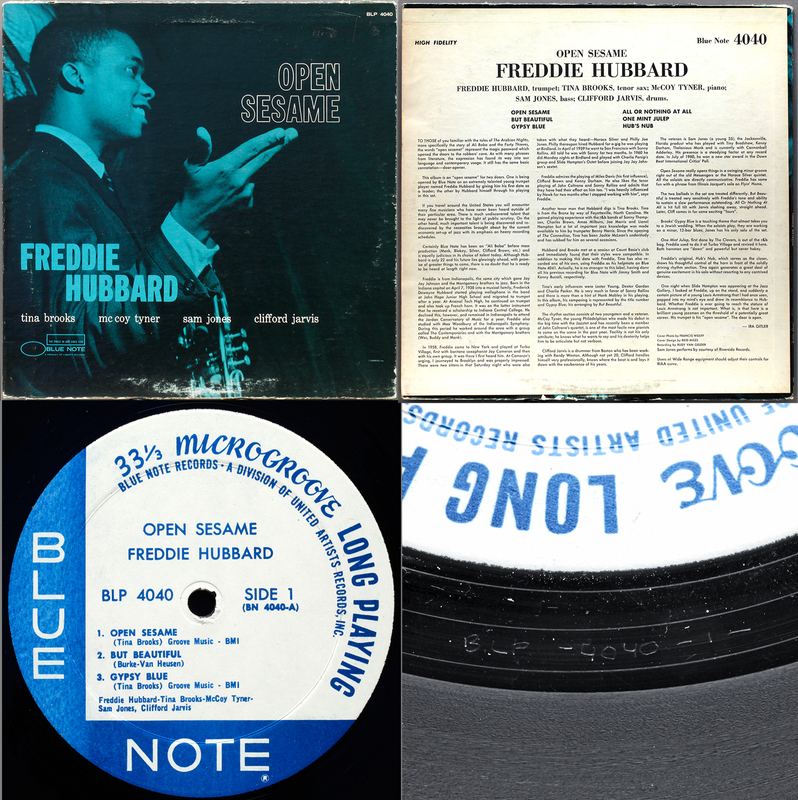 Somewhere between 1971 and 1975, United Artists reissued a carefully selected list of classic titles from the Blue Note 1500 series and some low numbers in the 4000 series, originals of which today would cost you up to a $1,000 or more. 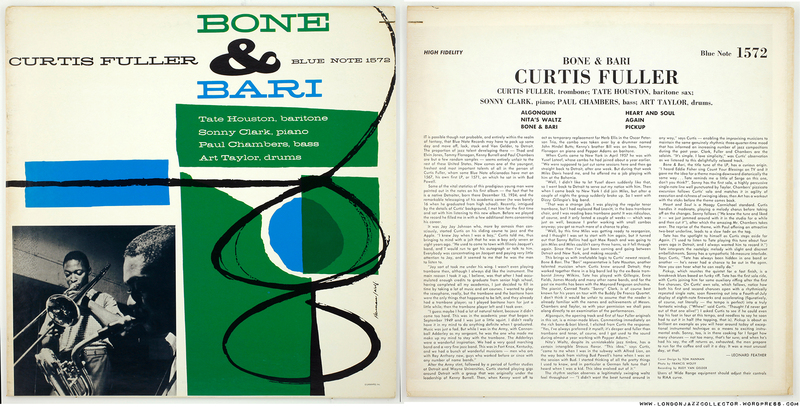 These reissues were re-mastered by UA engineers from original tapes, many in their original mono form with identical liner notes, released on the classic blue and white Blue Note label updated with “DIVISION OF UNITED ARTISTS” mimicking the previous “DIVISION OF LIBERTY” . 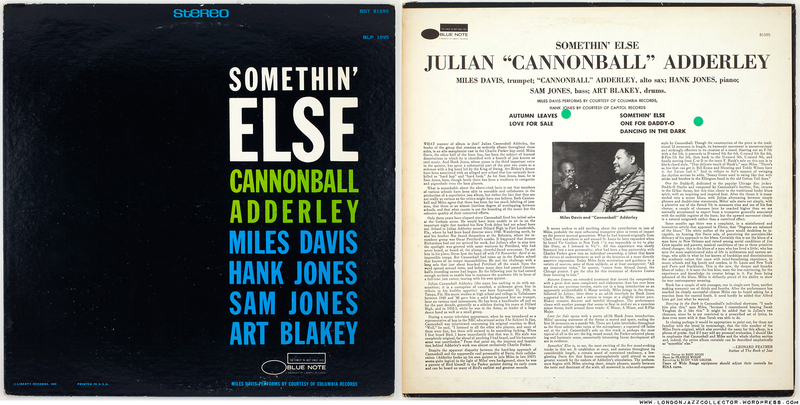 Of all the different series of United Artists reissues in the Seventies, these are to be prized for their exceptionally high audio quality, having been recorded originally by Van Gelder, though not mastered by him. Close up, there is little consistency in the runout markings. 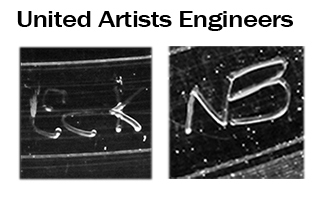 Etched in a couple of different hands, sometimes the occasional varying initials – an “NB” and a “Eck” -, the odd “UA” attribution, the work of several individuals working their own way, smacks of a laid back LA sound engineer lifestyle. Above you see the handiwork of United Artists engineer “NB”. 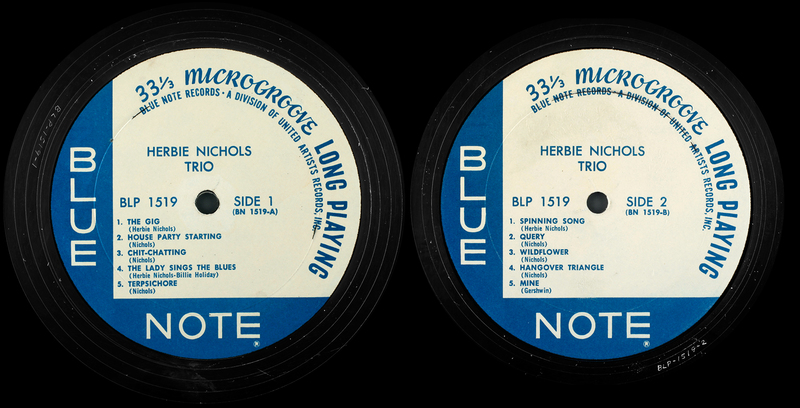 A methodical worker each side of each record he is remastering has a job number – in this case #43 and #46, the Blue Note catalogue number side 1 or 2, and his own initials NB as an RVG-style “trademark”. 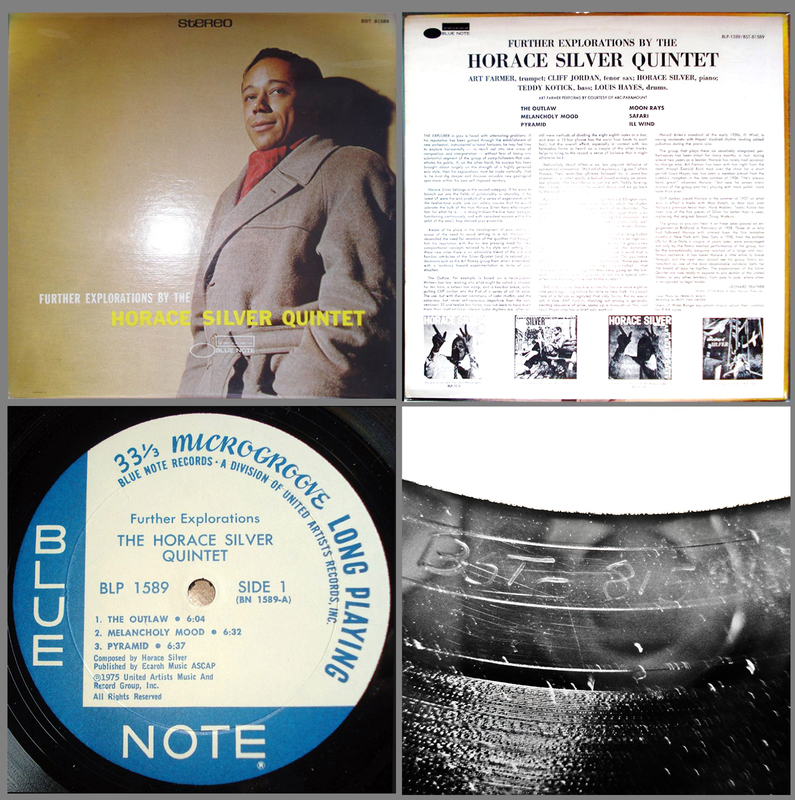 The # numbers are found as a running sequence on most if not all these reissues, indicating a well defined programme. You have to ask, why not Mobley 1568? 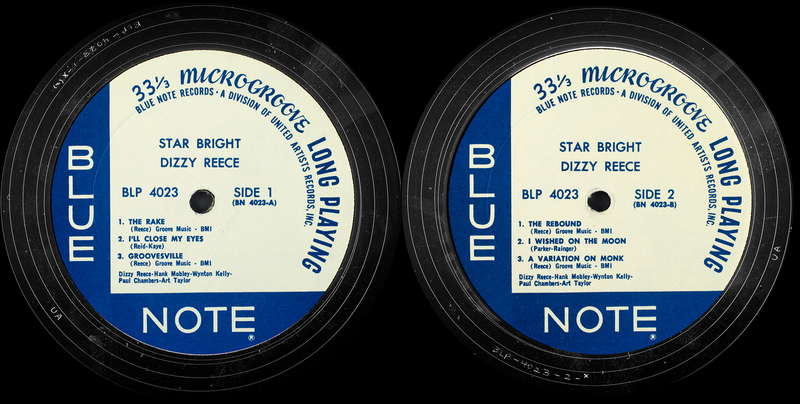 The highest # number found on my copies is #99 and none of the A and B sides have a sequential number and each # number is unique to that title and side, so they are not “sequential pairs”. 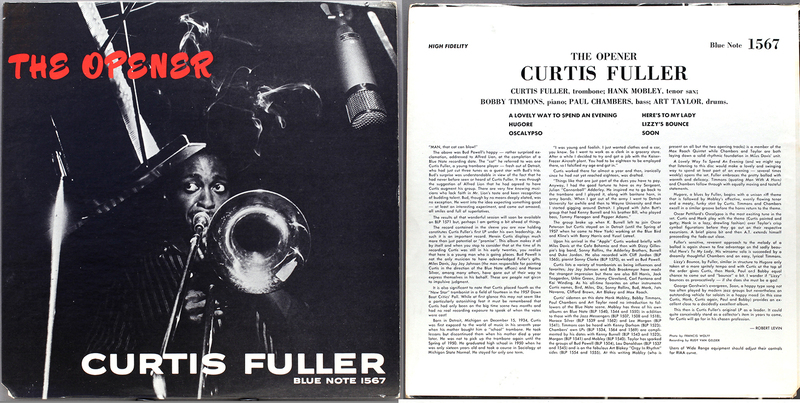 My guess is that the United Artists reissue programme consisted of at least fifty Blue Note titles, possibly more. 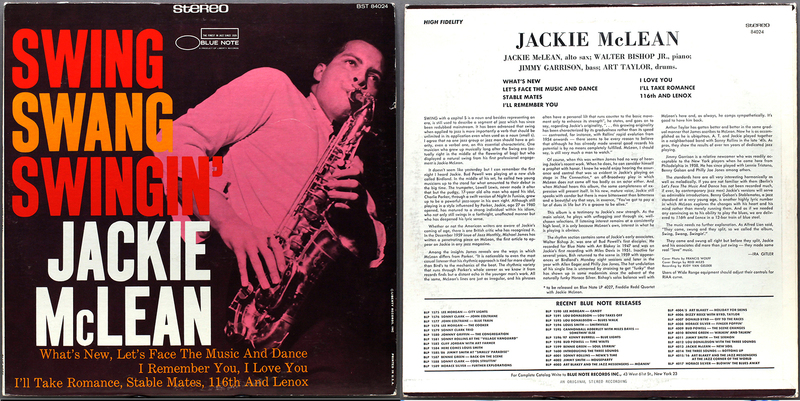 A small number of these historic reissues bear the copyright date (p) 1975 and new organisation name United Artists Music and Records Group Inc. in place of the artist credits. 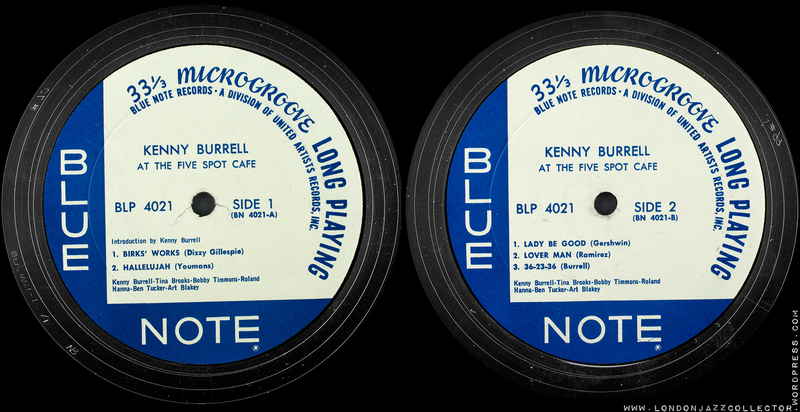 There is some anecdotal evidence these are of a lesser audio standard, but with only a few copies in hand it is not possible to be definitive, as the issue may be title-specific, pressing specific, or engineer specific. There follows a selection from my own collection of sixteen Division of United Artists pressings, plus some contributions from LJC readers. 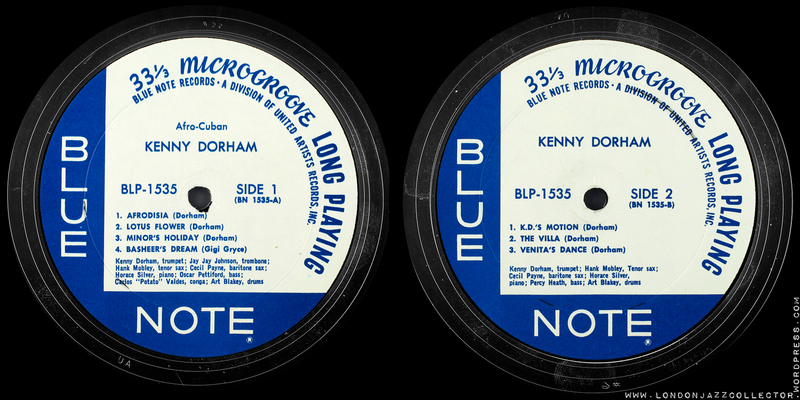 For a couple of them I also have an original Blue Note first pressing. With one exception, the gap in audio quality between these UA reissues and the original is not as wide as it is with some others reissues. (The exception is Rollins BN 1542, which is a disaster) I reckon UA reissued fifty titles, so somewhere are a good number of others. 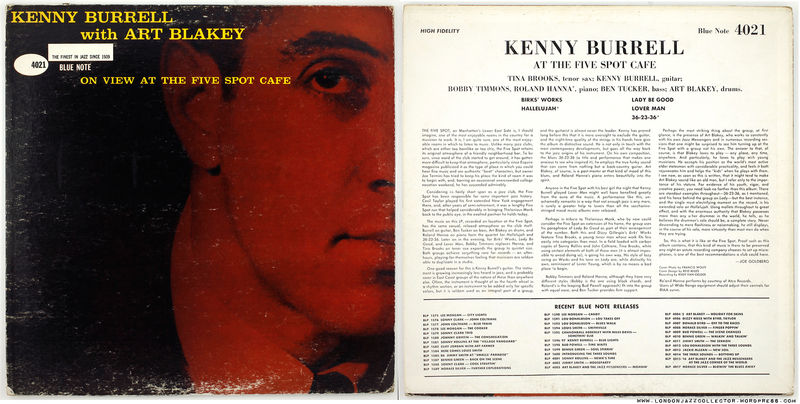 Electronically rechanneled for stereo, a mistake thankfully not repeated on any of the other titles. 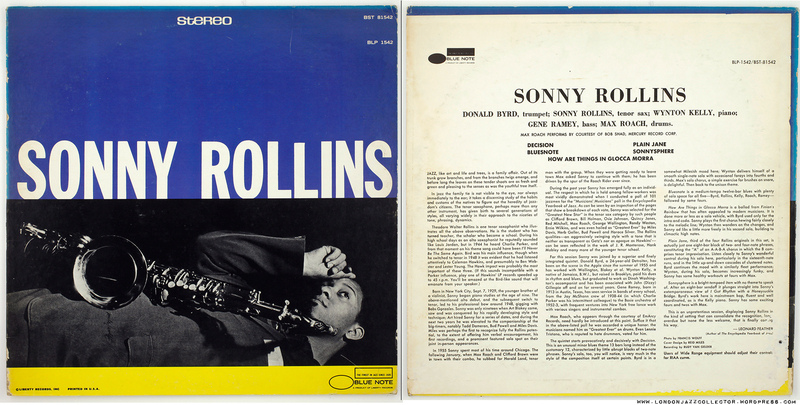 Very poor transfer of a stellar Rollins title, using the re-mastering done by Liberty, which is the source of the problem. 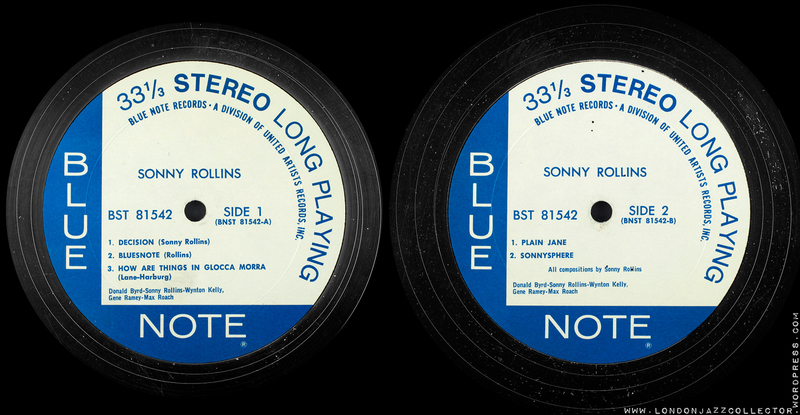 Record cover is on its side – Rollins should be vertical. 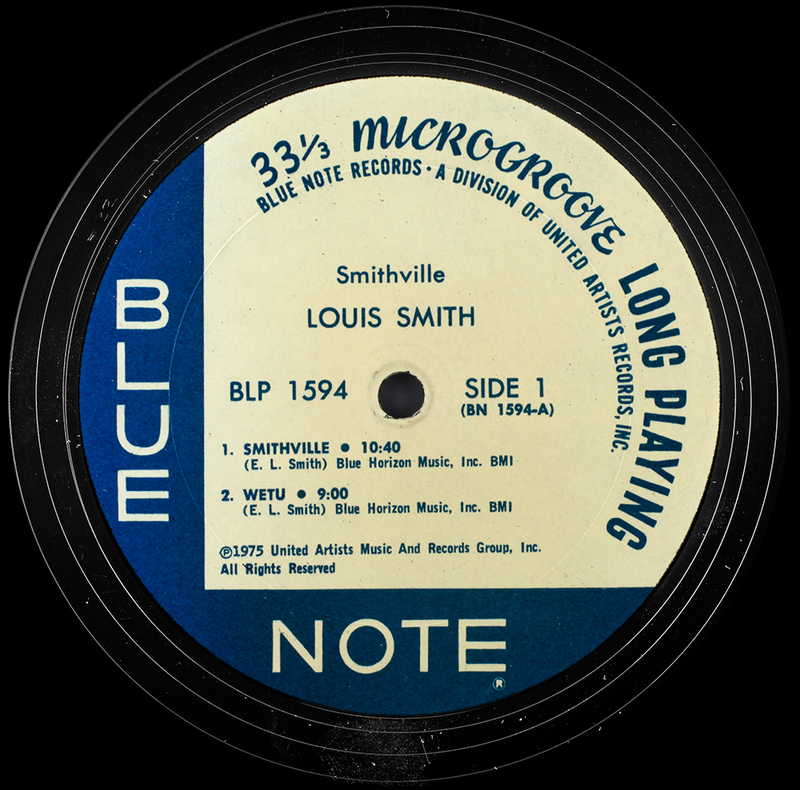 P 1975 edition. 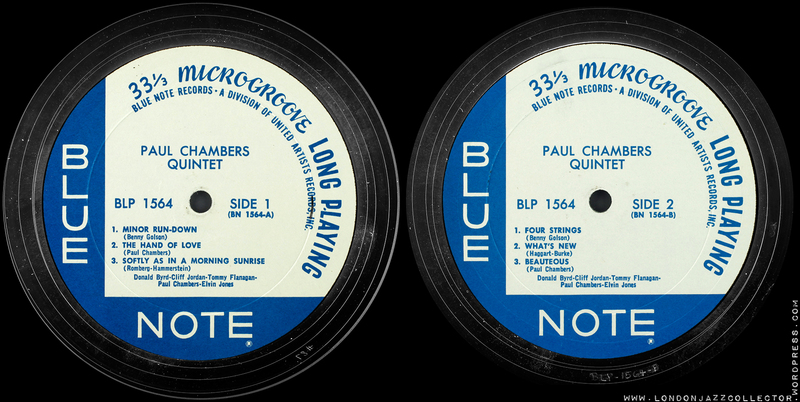 Has the # numbering etching in the runout both sides, so the metalwork probably comes from the 1971-3 reissue programme. Its the only one I have and it sounds ok, though I have nothing to compare it with. This one is a beaut, as I have the Music Matters audiophile as well. Which do you think sounds better? I’ll post on it. Its Division of United Artists, Jim, but not as we know it. 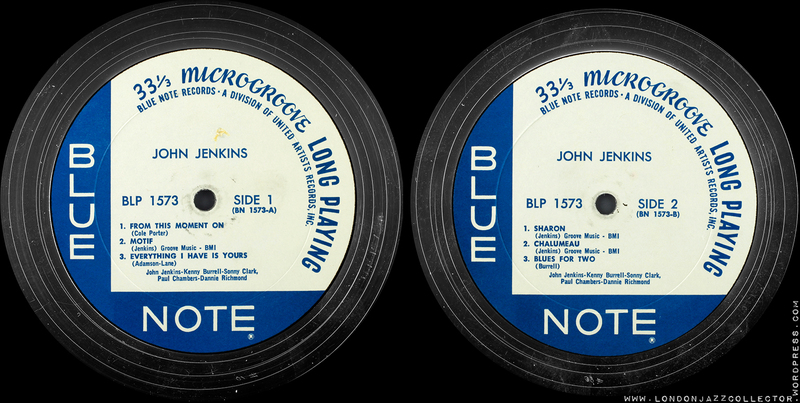 A 1975 reissue series on the Division of United Artists classic Blue and White label, but all is not well. Its from United Artists Music and Record Group, after a UA internal reorganisation, and the magic has gone. 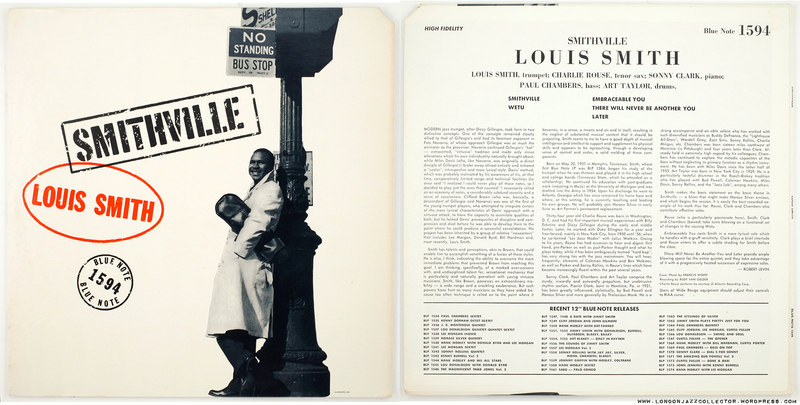 The cover and liner notes appear to be a Division of Liberty jacket, not a clone of the original 1958 Blue Note jacket like the earlier Division of United Artists reissues. 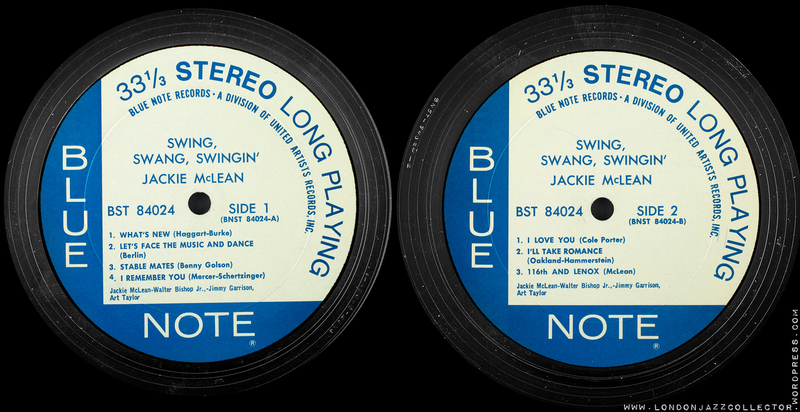 Where original Blue Note jackets have the catalogue number in bold large font in top right corner, Liberty demoted it to a small font, and the rear top left where it should say “HIGH FIDELITY” is the Blue Note logo. Acording to my informant Stefano, other releases have been seen in this second “Division of United Artists 1975” series, and they are not sonically up to scratch. 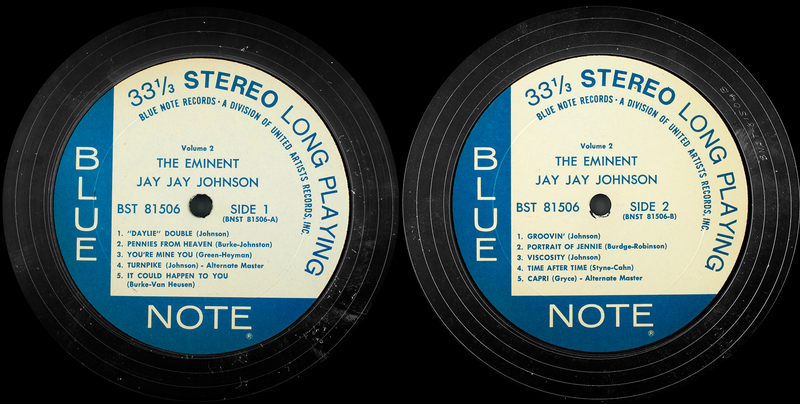 Looks like somebody within United Artists Music and Records Group took on a project to revive the classic Blue Note brand, possibly using Liberty left-over stock covers, but failed on the essentials, like what they sound like. I guess they wouldn’t be alone in that. Thanks to Stefano for the pictures. You did well. RVG one side VAN GELDER on the other? This happened rarely, when Rudy remastered one side at a later date. Possibly the original was damaged or unsatisfactory. and a second mastering picked up the later VAN GELDER form. You should find the catalogue number 4022-A or -B should have a -1 on the end, according to which is the second, indicating a second master. That was Rudy’s practice. Metal from two masterings have been selectively combined for a reissue. I would guess from your description – no ear – it is a Liberty using old stock labels and covers from inherited inventory. 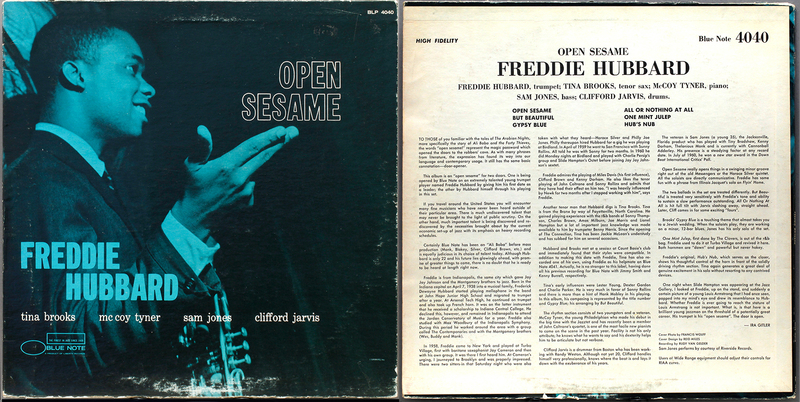 This title was I think issued originally only in mono, as the first stereo issue is later Japanese, which is why its mono and Van Gelder/RVG with old stock labels. 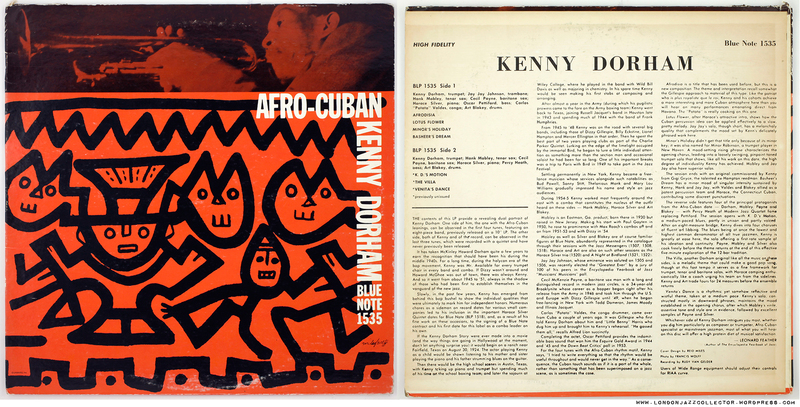 Quite an attractive issue, not surprised Discogs hasn’t picked up on it as its an unusual one, I expect not many copies sold. Oh and care to have a guess on the year ? I would put it at late 1966 or early 1967, Liberty were quick to try to monetise the back catalogue they had acquired. 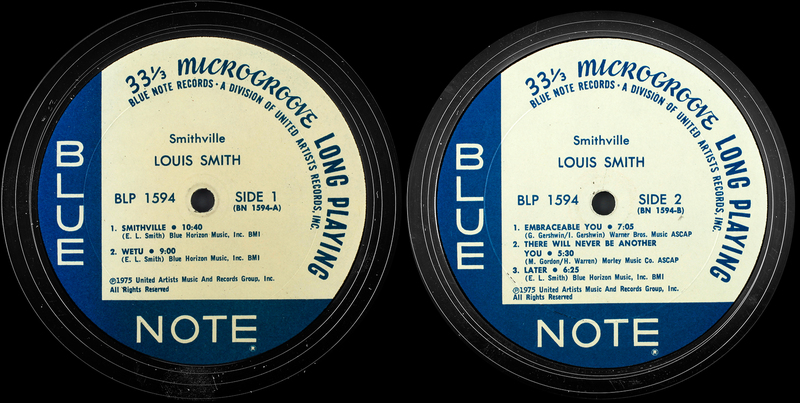 The use of old labels and original metal is characteristic of that early Liberty period where All Disc NJ were doing most pressing. 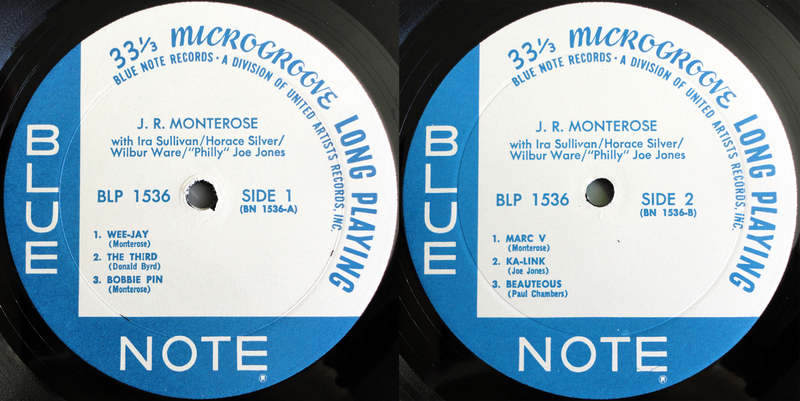 Later more was reissued on the West Coast through LA’s Research Craft, but that was mostly remastered from copy tape and fresh labels, not the case here. It’s circumstantial as there are always exceptions waiting to bite your ankles. Value? 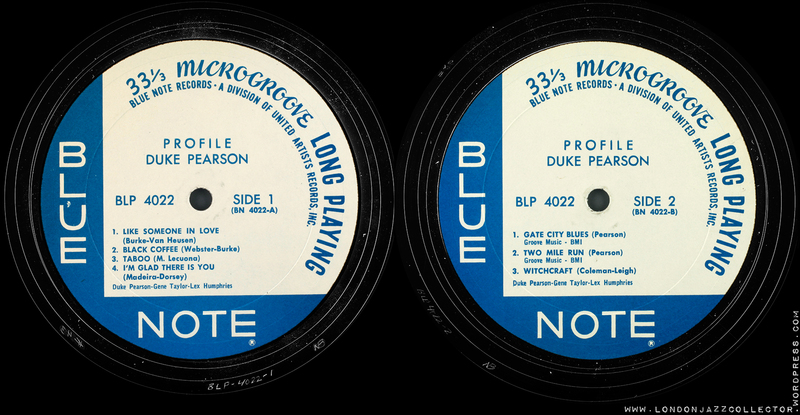 Pearson is not “hot” for collectors generally, but Profile is a great album. 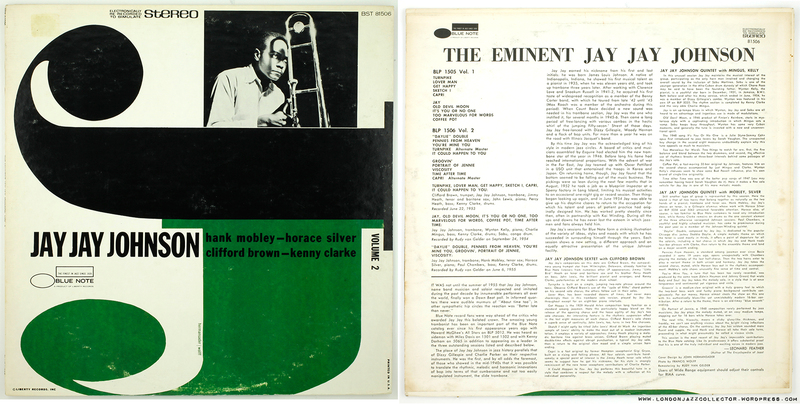 It is a lost cause for first pressing fundamentalists who want the original issue, but still desirable, maybe $100-$120? No one can second guess this kind of grey area, depends who is in the running and whether our friends from Japan like it. I recently picked up a copy of art blakey 84055 ‘division of united artists ‘ reissue. This one has RVG STEREO stamp on one side only. 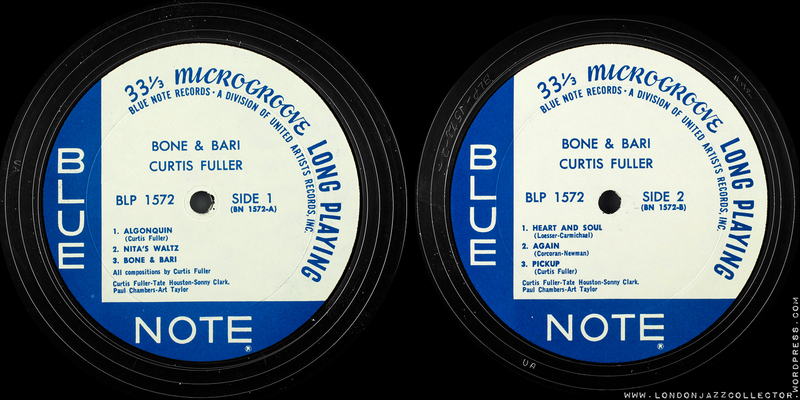 I have seen one sided van gelder on impulse before but this is the first I’ve seen it on a blue note. 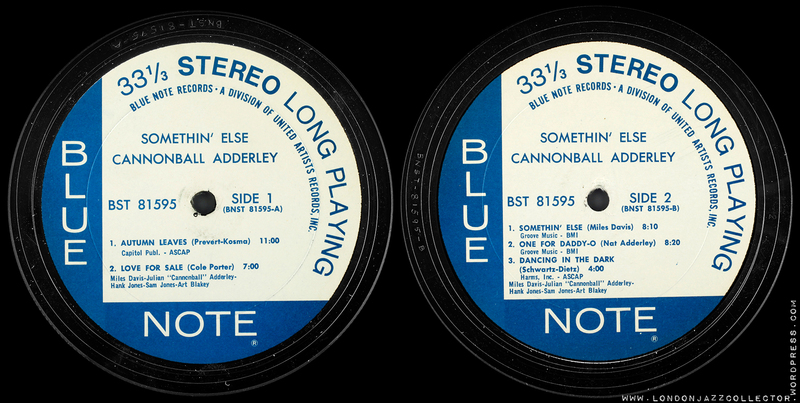 So I am guessing these are the best sounding of the Liberty and UA pressings? Hi, theses are all I have, not necessarily “the best” of the Division of United Artists “classic” series. To know that I would have to have them all. 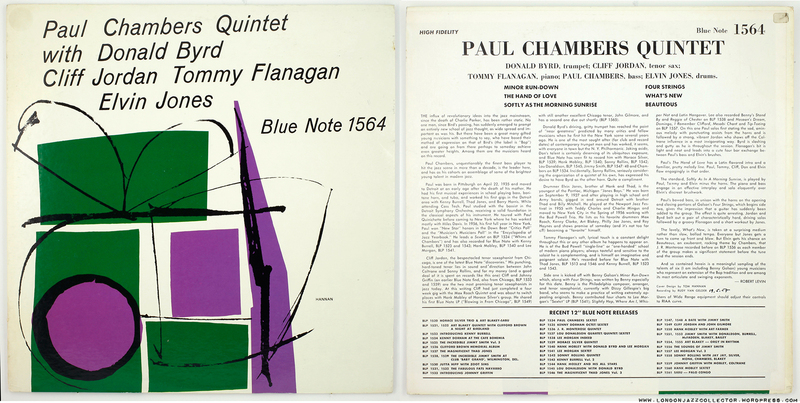 New finds are showing how extensive this particular reissue programme was. Extraordinary. It has also shown up some in fake stereo, so it’s not all good news. Always avoid fake stereo, but most of them are faithful mono transfers. The only dog among them so far has been Rollins 1542 – a rather suspect transfer, I think reusing a poor transfer made previously by Division of Liberty, which is similarly canine. The others have so far all been good, though not as good as originals, obviously. 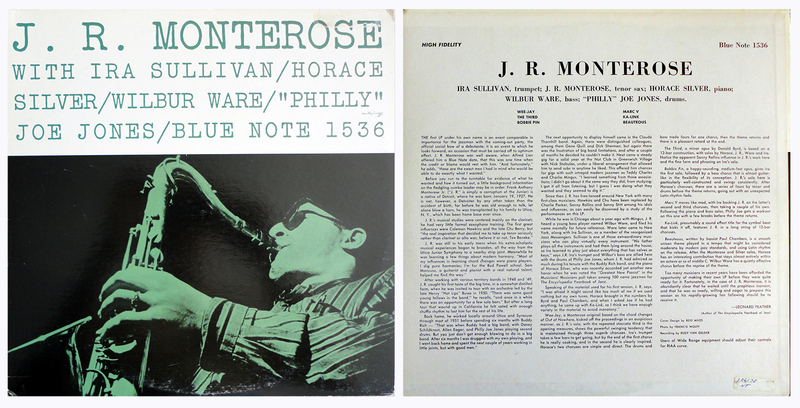 Just picked up another UA Mono, Lee morgan Indeed. Quite stunning after a cleaning. It’s a pig in a poke, they can be quite fantastic, or quite awful. No other way to know than buy and hear. I have a post in preparation on Liberty “fake stereo” , You know, its not always as awful as you might think. Stay tuned!